Can the U.S. Military Build a Border Wall Even as It Struggles to Rebuild Itself? Which Company Will Test the DNA of Separated Families? On March 15, President Donald Trump vetoed Congress’ attempt to stop him from declaring a national emergency to build a wall along the United States’ border with Mexico. His construction plans still face court challenges. 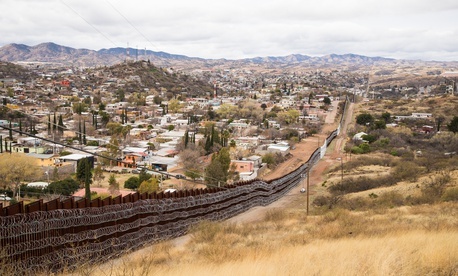 But if the effort survives, you can expect this to happen in the near future: The federal government will begin seizing private land to build the wall, a process known as eminent domain. It’s a fundamental power, laid out in the Fifth Amendment. The government can take your land to build public works, but it has to pay you “just compensation” — the amount that a willing buyer would pay a willing seller to purchase the property. But the federal power to seize land contains none of the landholder protections commonly found in state and local jurisdictions. The federal government rarely loses its bid to take land. Under a special procedure, federal officials can file a Declaration of Taking that results in a court granting immediate title to the land. Bulldozers can roll the next day. The only fight, essentially, is over how much money the property owner will receive. Fifteen months ago, ProPublica examined the Department of Homeland Security’s use of eminent domain to construct the first border barrier, then called a fence. The Secure Fence Act, passed in 2006 with bipartisan support, resulted in 654 miles of fencing along the 2,000-mile border. What we found was troubling. Wealthier property owners who could afford lawyers saw their compensation offers triple on average, while poorer landholders took what the government offered or bargained on their own for slightly more. We were puzzled, however, to find that Homeland Security appeared to have ignored the one federal law designed to protect the rights of property owners from lowball offers by the government. The obscure Uniform Act requires the government to conduct formal appraisals to establish the worth of any property valued at more than $10,000. Those appraisals are supposed to be done in concordance with the exacting guidelines spelled out in a 262-page federal manual. And the government is supposed to negotiate fairly and without coercion. We knew Homeland Security had the ability to waive those protections, but we never found concrete proof that the agency had done so. Almost two years after filing a Freedom of Information Act request, Homeland Security released a copy of the formal document that allows the government to ignore many safeguards built into the act. The document underscores just how easy it is for the federal government to eviscerate what is already a pretty toothless law. As it turned out, all it took was a two-page letter signed by a midlevel bureaucrat in U.S. Customs and Border Protection, an agency of Homeland Security. Here’s a look at the letter and at the protections that it stripped away. Nothing would stop the Trump administration from doing the exact same thing today. Congress has taken no action to reform the Uniform Act or the Declaration of Taking, despite the laws’ controversial past. Congress passed a law setting Dec. 31, 2008, as the deadline to complete construction of the $2.4 billion fence. CBP used that artificial date as the reason to rush land negotiations. The Uniform Act is already weak. Nobody is allowed to sue to enforce its standards, for instance. The waiver further sapped it of power. In order to ignore provisions of the Uniform Act, an agency official has to declare that a waiver “does not reduce any assistance or protection provided to an owner or displaced person.” You might think that gutting the law would do just that. But as a property owner, or as an American citizen, you have no right to contest the determination. Some see Trump’s declaration of a national emergency as extreme. Back in 2006, CBP called construction of the fence “a matter of the highest national security,” which justified running roughshod over the Uniform Act. Here’s the meat of the waiver. No need for a lot of documentation regarding your land’s value. And negotiations are capped at 30 days. After that, CBP cuts a check and takes possession of the property. CBP arbitrarily raised the threshold for conducting a full appraisal to $50,000. That may seem like a small amount to homebuyers on the coasts. But most of the land seized was in Texas’ poverty-stricken Rio Grande Valley. By raising the cap to $50,000, the government did not have to conduct a formal appraisal for more than 90 percent of properties, often ranch or agricultural land. To ensure fairness, the Uniform Act requires a second government official to review the proposed purchase price. The waiver allowed that second evaluation to skimp on rigor. In this case, the agency official who signed the waiver was Greg Giddens, who had a distinguished 35-year public service career. Giddens managed construction of the fence. Afterward, he became the top contracting official at the Department of Veterans Affairs. Now retired, he works as a partner at Potomac Ridge Consulting, which helps companies win government contracts.